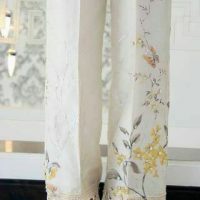 The global fashion statement indicates that the days of straight pants, shalwars and tights are over, now it’s time to style yourself with latest finding of fashion line called “Boot-Cut Trousers. 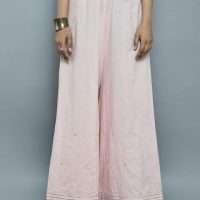 The fashion designers and predicts that this summer and winter season will be rocked with latest styles of boot-cut pants and bell bottom trousers. 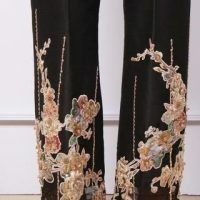 It is quite refined form of bell bottoms. 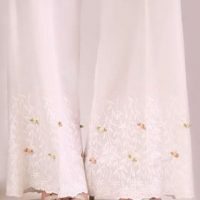 This wear is suitable for Indian ladies as they have heavy body shape and always fond of wearing heavily embroidered dresses whenever they have to attend any party or any wedding ceremony. Now its time when girls like to make stunning fashion statements, whether they have slim body shape or they are fat. 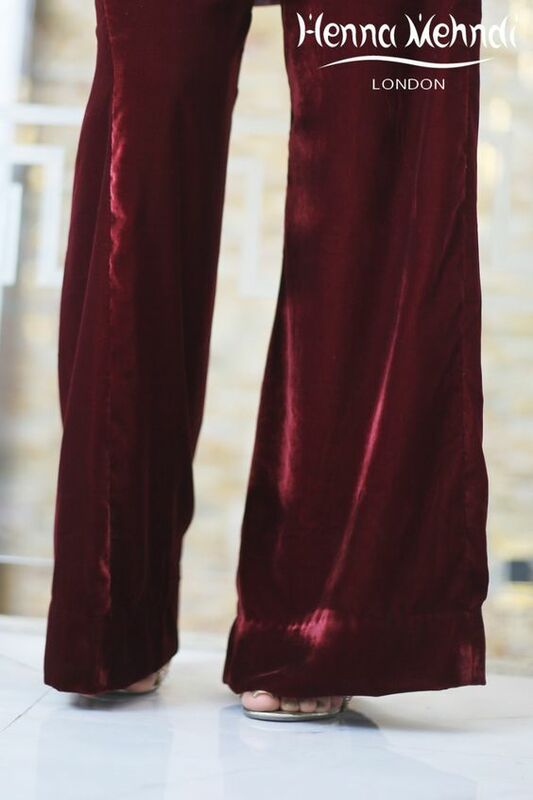 This styled trousers bright into market as it was highly famous fashion in old days. 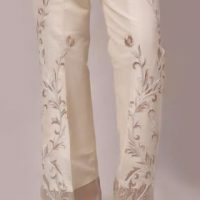 Now its time to rock this festive and eventual season with Latest Pakistani Bootcut Pant/Trousers Designs and Trends 2017-2018. Their unique style will inspire everyone. 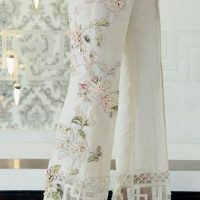 In Pakistan, now fashion designers are launching their latest collections of dresses pairing boot-cut trousers. The famous Zainab Chottani and Sana Abbas is also among them. 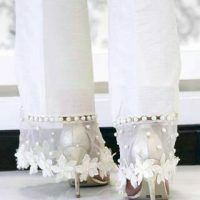 These trousers are embellished with laces, pearls, sequin and embroidery. 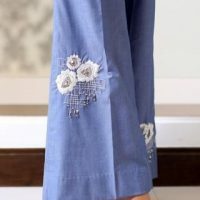 You can wear these with your casual shirt as well as with pretty embroidered shirt pairing with this will give you a fabulous look. 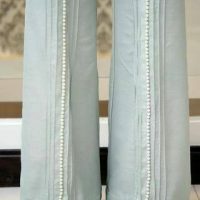 If you are too slim, this type of pant will reform your look. So here is showcased this marvelous series patterned with latest cuts and designs. 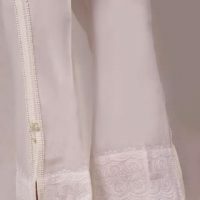 Latest Pakistani Dresses with Boot-cut Pants 2017 are the latest fashion of this year. They will give you a quite new look. As you know, the eid-ul azha is approaching and everyone will again require new dresses. SO you can wear this, with heavily embellished shirt matching with embroidery. High heels will gives you confidence and makes you to feel stand out in crowd. It is the best choice as it is the western fashion, ans British ladies usually pair it with short skirt and wear it in jeans fabric. Girls becomes sometimes panic that what to wear with it, so you people no need to worries, yo have variety of options to get with it. These are also easy to carry in every type of function. It will not only make your personality look beautiful but also compliment your height. You can grab these boot cut trousers in Pakistan at every retail stores. 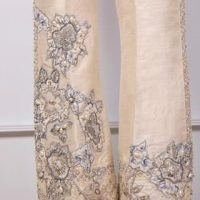 Designers are now pairing their collections with these embellished trousers. 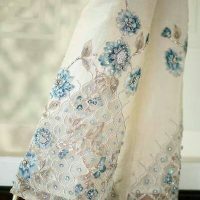 Motif’s, laces, pearls and zari, zardosi is work is done on lower side. Here we have gathered Boot-Cut Party Wear Trousers Styles and Trends 2017 for Girls. 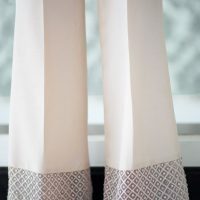 Go and grab these to make your dress more beautiful. 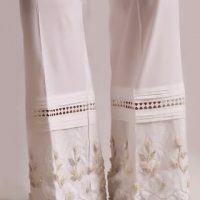 Latest Pakistani Dresses with Bootcut Trousers 2017 are the latest fashion of this year. These will give you a quite fabulous look, when paired with high heels.